We have all had those days when we have woken up in the morning and said ‘Aaj monta Flurys Flurys korche’ or ‘Flurys hobe naki ?’ or ‘Chol aaj Flurys jawa jak’. Right from inception in 1927 this tearoom belonging to a Swiss gentleman, Joseph Flury, and his wife, Frieda has revolutionized the restaurant culture of Kolkata. Today It’s owned by the Paul Family. Not many know the story of young Jit Paul, who one morning in 1965, struck up a conversation with Joseph Flury on the street and ended up making an offer that Joseph couldn’t refuse. For Kolkatan’s mornings, breakfasts & this tearoom are intricately associated. The early sun rays coming in from the floor to ceiling windows, the giant chandeliers, the small wooden furniture and the aroma of freshly made eggs – the charm of nostalgia with a hint of the modern world !! Here are 5 must try at this Heritage Breakfast Joint. Flurys was my first experience with Beans on Toast and ever since it has become my yardstick of measurement when it comes to this culinary delight from the west. 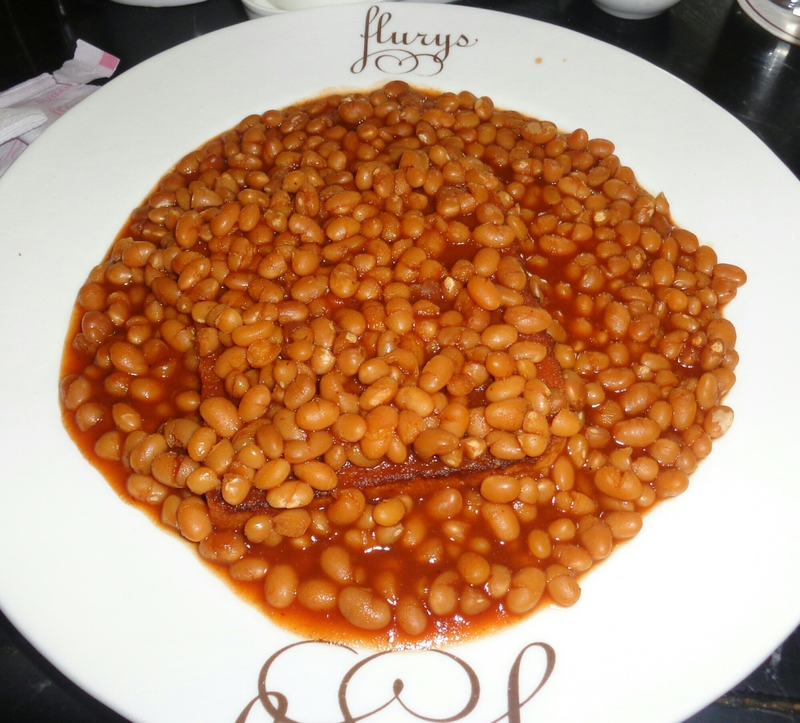 The dish includes a slice of toasted & buttered bread generously topped with baked beans and garnished with chopped onions & chilies. The first bite of that mildly soggy buttered bread with a sauce-y Beans on Toast and a little bit of onions – HEAVEN !! For me Flurys is synonymous with Omelets . I still remember the first time I entered Flurys when I was a kid and the moment I opened the door the smell of a freshly made omelet welcomed me. Their three egged fluffy omelet is famous in the city, it comes with some toasted bread & butter. My favorite is the mushroom & cheese version. The melting cheese, the broadly cut mushrooms and the freshly made omelet – A BLISSFUL DELIGHT !! For most Bengali’s tea and breakfast goes hand in hand. The common phrases are ‘cha na khele matha khole na’ or ‘shokal e cha khabo na, erom hoy naki’ or ‘kichu hok na hok cha ta amar chai ei’. Their masala tea version happens to be my favorite. The masala tea is an AROMATIC MARVEL with just the right blend of spices and excellent quality tea leaves. 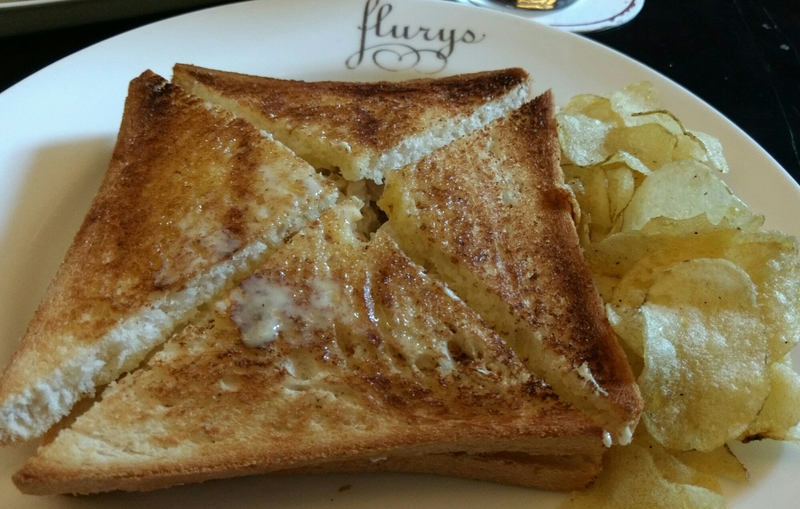 The mayo cheese chicken sandwich or simple mayo sandwich are my staples at Flurys. Ritualistically I enter Flurys, never look at the menu and order a sandwich. The taste and quality are STUPENDOUS. And I must add here that I have had their sandwich a numerous times and yet with the first bite I always shut my eyes and make yummy noises that totally scares the person in the next table. It comes with a helping of potato chips. And leaving the best for the last. 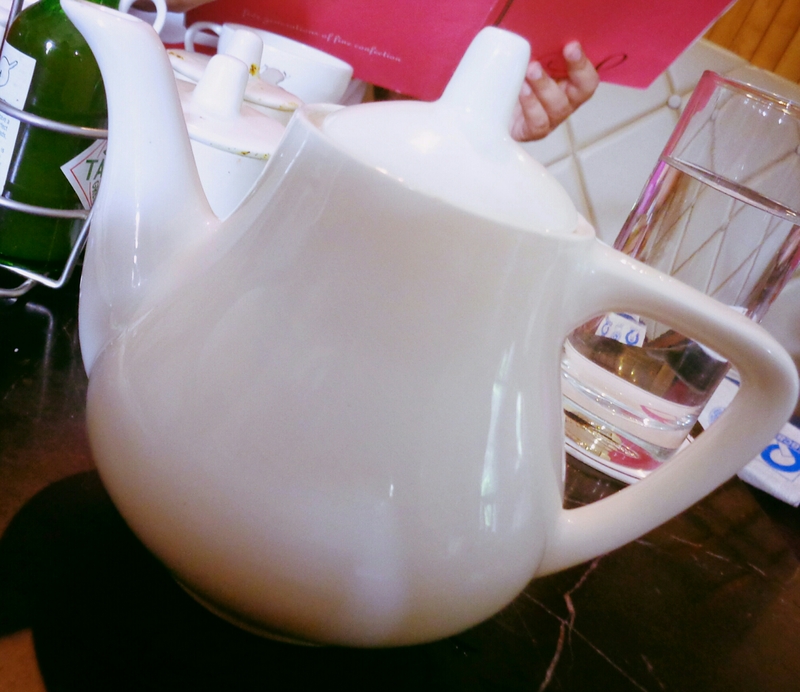 The English Breakfast is the most CELEBRATED item on the menu. It comes with two rashers of crispy bacon, two grilled sausages, two poached eggs, one grilled tomato, two hash browns with two slices of bread & butter. It’s one gastronomic adventure. I hope all of you will try these. Let me know about your favorite Flurys Experience !! Next HOROSCOPE-BOOZING: Now what the hell is that? 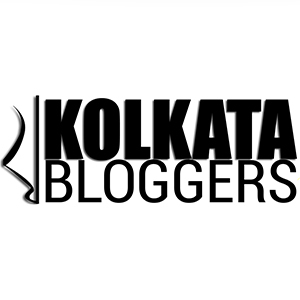 Wonderful food blog l enjoyed browsing through .Thank you for visiting my blog.Best regards.